Found 13 file extension associations related to Adobe ColdFusion and 9 file formats developed specifically for use with Adobe ColdFusion. Adobe ColdFusion application server enables developers to rapidly build, deploy, and maintain Java™–EE applications for the enterprise. It gives enables developers to rapidly build enterprise-ready Internet applications by condensing complex business logic into fewer lines of code. Plus, unique integration between ColdFusion and the Adobe Flash Platform provides the easiest solution for building rich Internet applications (RIAs) from client to server. Easily generate office documents for reporting, decision making, and presentations. Read, create, and update spreadsheets using the new CFSPREADSHEET tag. Programmatically generate PDF files from Microsoft PowerPoint and Word files. Dynamically produce presentations in HTML or SWF from PowerPoint presentations directly on the server. 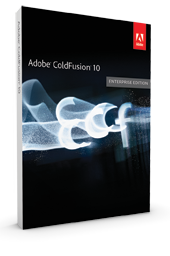 Leverage the power of Adobe ColdFusion Builder software, a highly customizable, Eclipse based IDE that enables developers to build ColdFusion applications faster than ever before. Build database-independent applications using object-relational mapping (ORM) based on the open source Hibernate library. Save time and manage database logic and connectivity without writing any SQL. Use the ORM Application Wizard in ColdFusion Builder to generate ColdFusion components (CFCs) for logic and connectivity without writing a single line of code. Expose data from Microsoft Office SharePoint web services to a ColdFusion application with the new CFSHAREPOINT tag. Additionally, use the single sign-on capability in SharePoint to display a ColdFusion application as a web part within a SharePoint site without requiring users to reenter their credentials. Take advantage of faster Flash Remoting to increase application performance. Use ColdFusion as a Service to speed up RIA development by easily accessing many existing enterprise services via AMF without writing a single line of CFML. Leverage the power of ColdFusion enterprise services via AMF or SOAP without writing a single line of CFML. These services include CFCHART, CFDOCUMENT, CFIMAGE, CFMAIL, CFPDF, and CFPOP. Additionally, make your application more secure by sandboxing these services to prevent access by unknown applications. Offer users applications with online/offline capability featuring reliable data management. Using SQLLite in the client and ORM on the server, ColdFusion 9 manages conflict resolution and data synchronization between the client and server when your application comes back online. Build more compelling and intuitive applications with a broader set of Ajax controls that leverage the new Ext JS 3.0 library via CFML tags and attributes. New controls include mapping, multimedia player, multifile upload, accordion navigation, progress indicator, confirmations, alerts, buttons, and sliders. Save time by simultaneously performing administrative tasks across multiple servers from one central console. You can create data sources, schedule tasks, apply hot fixes, clear caches, and compare settings across a cluster of ColdFusion servers. Expose virtually all enterprise applications, including ColdFusion applications, in one integrated portal. ColdFusion 9 allows you to define a ColdFusion component as a portlet. This includes support for Java™ Portlet Specifications JSR 168 and JSR 286. If you need more information please contact the developers of Adobe ColdFusion (Adobe Systems Incorporated), or check out their product website.